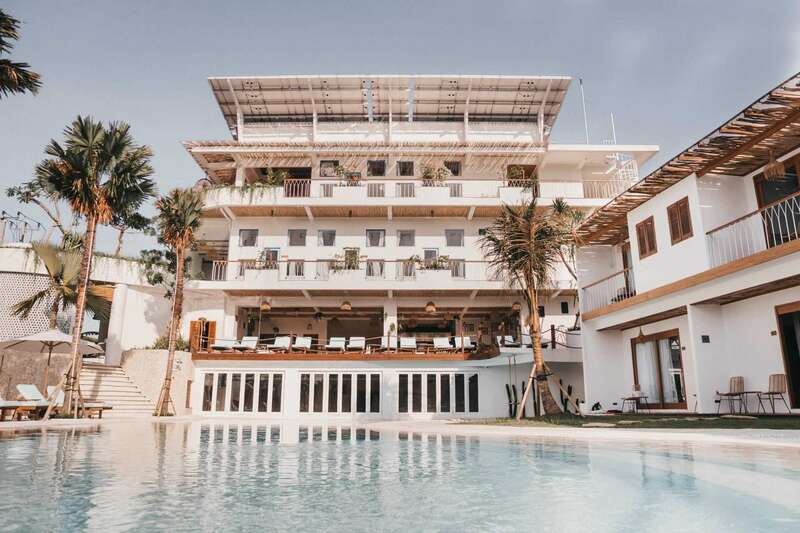 Kosone Hostel, Bali’s newest boutique hostel, is located in the heart of Canggu – one of Bali’s most happening and fun neighbourhoods. Kosone is only a few minutes walk from epic surf breaks, beautiful beaches, delicious cafes and restaurants and energetic bars. The hostel has fantastic natural views of vibrant, green rice fields, the Indian Ocean and Bali’s famous volcano, the mighty Mount Agung. At Kosone, we consider ourselves to be a hub for all barefoot travellers, yogis, digital nomads, health enthusiasts, surfers and adventurers alike! Our many social spaces create the perfect environment in which to meet new friends (whether they be fellow travellers, expats or locals) with whom to share your Balinese adventures. Go surfing, enjoy the local food, get some sun at the beach, immerse yourself in Canggu’s incredible yoga scene and know that at the end of every day you have a comfortable home away from home awaiting you. We care about the environment and you should too! We are all about sustainable living and believe passionately in ‘giving something back’ to our beautiful island home. In keeping with that ideal, 50 percent of our electricity requirement during the day is generated through solar energy. We minimise the use of harmful single use plastics and have used as much recycled wood, as possible throughout our buildings and are constantly seeking new ways to care and improve our impact on the environment. Make a SPLASH on the start of your weekend with Kosone’s incredible weekly pool party. Party from 6 pm until late and don’t forget about our daily buy one get one FREE cocktail from 4-6pm. Find your inner yogi or yogini in our Tuesday afternoon sunset yoga sessions. A FREE, one-hour class for all levels. Everyone welcome including non-Kosone guests from 5 until 6 pm. It’s that time of the week where we all need a little recovery from the weekend. What better way to mend those start of week blues than with a movie night! Plus, there will be free popcorn! Come on down to Kosone at 7 pm and sit back and enjoy – non-Kosone guests welcome! If it’s a sunset sip, some party pre’s or just a reward from a hard day of surfing and shopping, come on down to Kosone every afternoon between 4 and 6 and enjoy our 2 for 1 cocktail! Shoot us through a message and we will get back to you within the next 24 hours. Our reception is open 24/7. © 2019 Kosone Hostel. All rights reserved.